I had the pleasure of accompanying both Nyaz and Tre for their initial assessments at Sheba today. I haven’t had much opportunity to meet these mums who are new to our community yet so it was great to spend some time with them. We had fun in the car using the little bits of all of the languages we know together to talk about Israel and the hospital. Nyaz had an echo, ECG, chest x-ray and check of vital signs today. 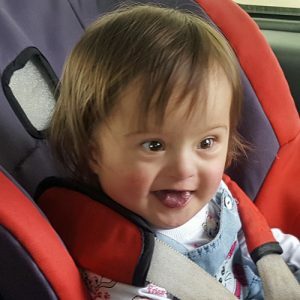 She was such a good girl throughout all of the tests and her mum did a beautiful job of quickly distracting her whenever she started to become unsettled. Nyaz has a lovely temperament she really enjoys being sociable and she seems to love music. Her skin is very blue at the moment and despite this being a reflection of her significantly lower than average oxygen saturation levels her energy and joy is surprising. The cardiologist reported that Nyaz will now be presented to the medical team to discuss her next steps. 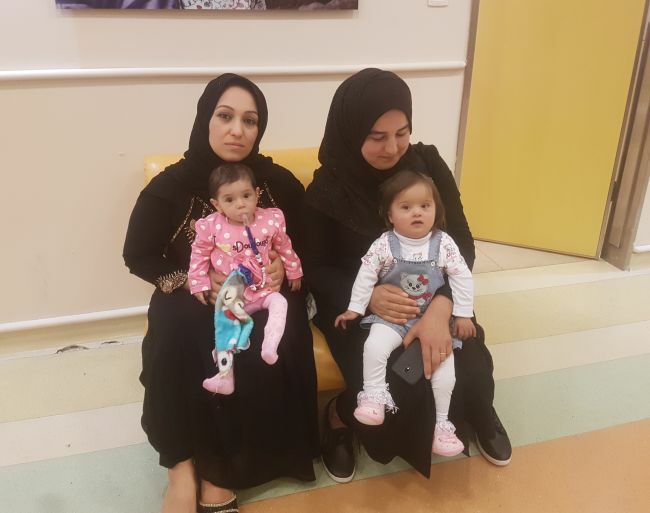 In addition to her diagnosis received in Kurdistan Nyaz appears to have a smaller pulmonary artery than would be expected. For this she may require an angio-CT or a catheterisation in order to gain better insight into the working of her heart. Please pray for Nyaz and her mother that they will know the love of Jesus throughout their time here in Israel. Please also pray for knowledge and wisdom during the medical discussion regarding Nyaz’s case. 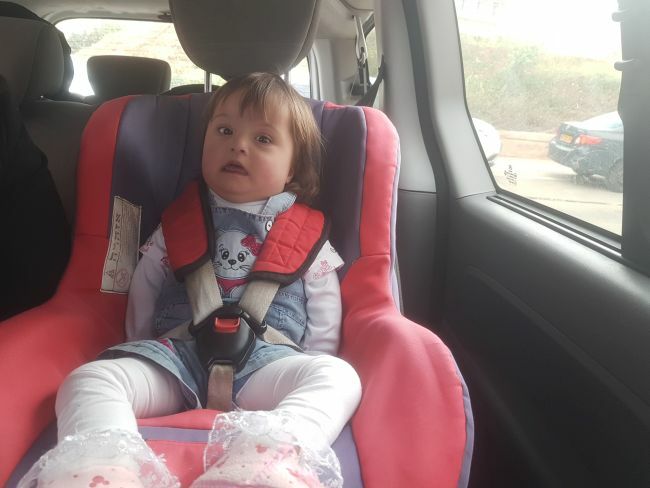 Nyaz and her mother arrived to Israel this morning! 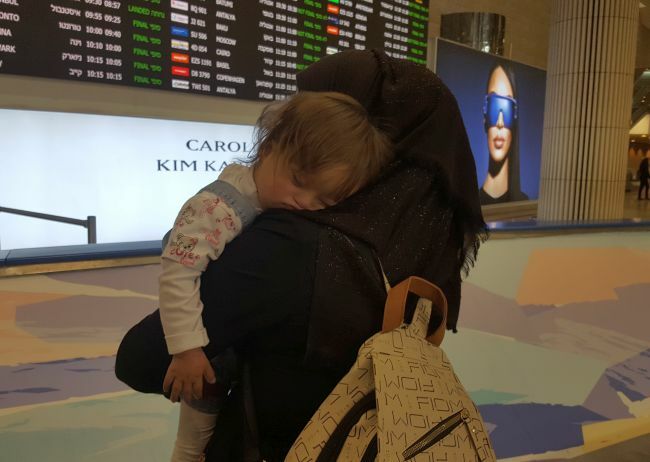 While both are tired from the trip, they provided plenty of smiles in the arrival hall and in the car. 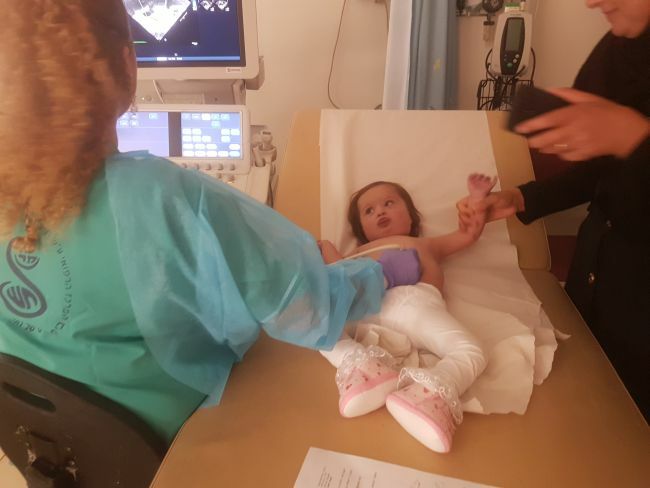 Nyaz has a complicated heart defect (TOF with complete AV canal) with her oxygen saturation reported to be quite low in Kurdistan. 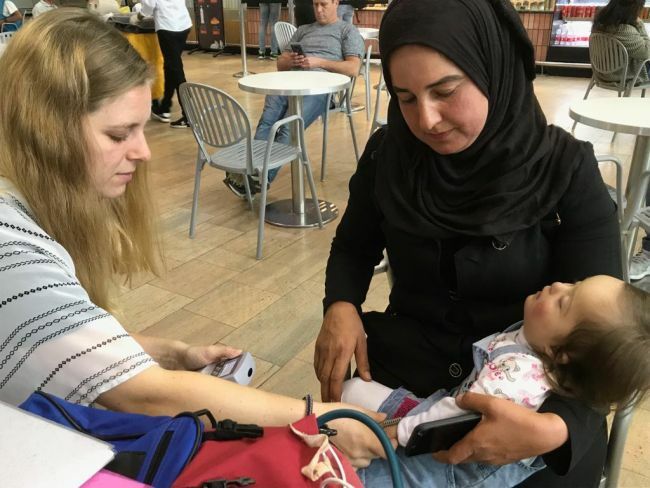 And the effects were obvious with the shape and color of Nyaz’s fingers and toes, but praise the Lord the oxygen level reading at the airport was around 80% and Nyaz fared very well during the travel. After contacting Sheba to ensure the decision, we headed home to our Jaffa base with Nyaz and her travel companions (Wareen and Tre). Nyaz and Mom will rest at home today and we will soon hear when their assessment appointment at the hospital will be. 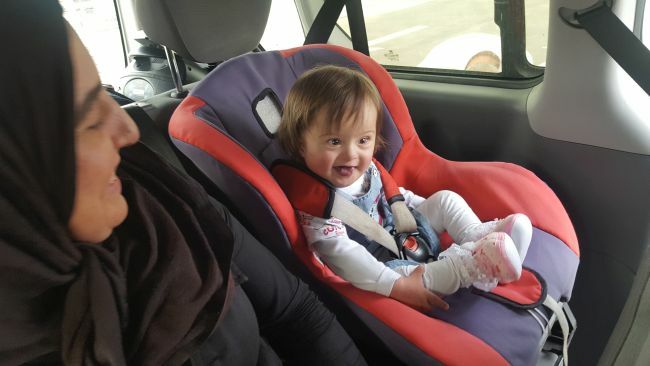 What a blessing we have to get to know beautiful little Nyaz and her mother as they are here with us in Israel! As of right now, Nyaz still needs $6500 toward surgery and related expenses.